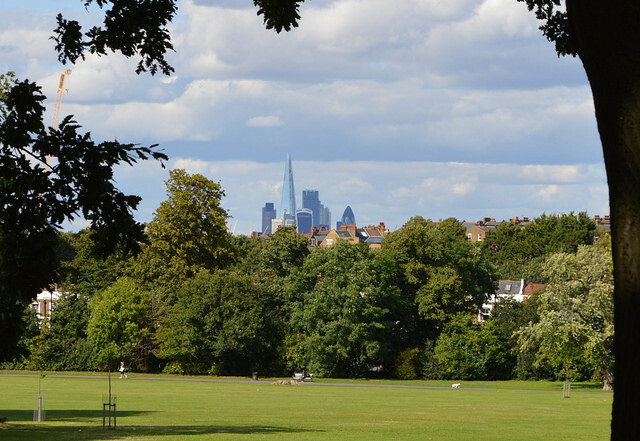 Did you know that nearly half of London is green space? The city might be home to 8 million people, but it's also richly blessed with plants and wildlife. London has so much rus in urbe that one group has campaigned to designate the city as the Greater London National Park, which would make it the first urban realm to take on that status. This morning, the London Assembly unanimously agreed in principle to support the proposal. The motion (PDF), proposed by Jenny Jones AM and seconded by Darren Johnson AM, pledges to "support the organisation in developing its vision, in particular by setting out how the Greater London Authority and the wider GLA Group could contribute towards its aims". This political consensus is a great fillip for the project, and the first step to having a grass-root citizen-led National Park City legitimately recognised. The population of 8.3m shares the city with 13,000 species of wildlife that inhabit the conurbation's 3,000 parks, 30,000 allotments, two national nature reserves, 36 sites of special scientific interest and 142 local nature reserves... It is home to the world's largest urban forest and its 3.8m gardens cover 24% of the capital. Raven-Ellison believes the National Park status would have many advantages for the city: raising awareness of local environmental issues, helping to form London-wide strategies for conservation, promoting fitness and wellbeing, increased appreciation of the outer boroughs, and economic benefits from tourism. The idea would also serve as a beacon for other cities around the world. London could become an environmental leader, shaping the way we think about cities. Above all it would serve as a talisman, recognising the verdant wonders on our doorstep and inspiring citizens to play a greater role in improving and enjoying the great outdoors. Still unconvinced? Here's a primer video, with endorsements from the likes of Zac Goldsmith and Terry Farrell. You can lend your support to the project through the National Park City Crowdfunder page. To find out more about London's green spaces, we're going to attempt to visit a park in all 32 boroughs (plus the Square Mile) in one day. Londonist Editor-at-Large Matt Brown will tomorrow accompany Daniel Raven-Ellis on the marathon trek around the capital. Follow on Twitter via #33OpenSpaces.